A Habitat For Humanity crew working on Drysdale Road in the Halifax suburb of Spryfield will soon be joined by many others. On Wednesday night, a Halifax Regional Council committee voted unanimously in favour of the affordable housing project at this site. “It’s the first of its kind in Canada, and we're hopefully going to be able to accommodate a lot of families that can use it,” said District 11 Coun. Stephen Adams. 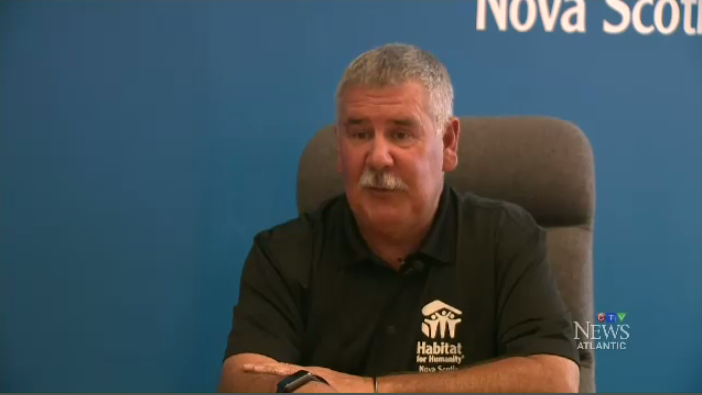 There is clearly a need for it, says Stephen Doane, the CEO of Habitat For Humanity Nova Scotia. Part of the affordable housing development is the creation of a new subdivision on land donated to Habitat For Humanity. The new street, tentatively called Habitat Way, will circle around a half-acre park. 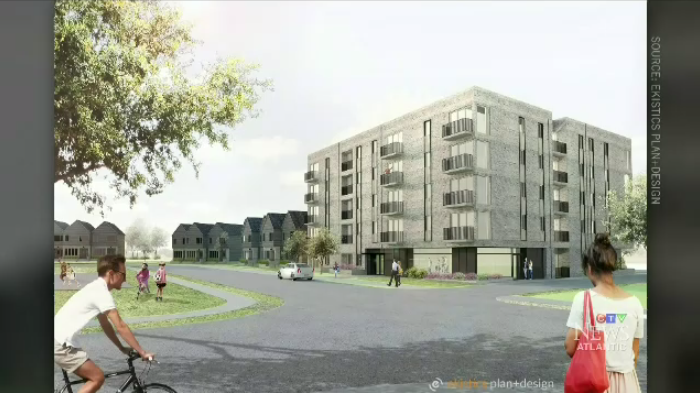 “The complete development will be 78 units,” Doane said. “We're putting in a p-loop road that will include 38 town houses and a 40-unit building,” said Doane. All the units will follow the usual Habitat For Humanity process, where families are selected on the basis of need, their ability to repay a no-down payment, no-interest mortgage, and their commitment to volunteer 500 hours of sweat equity toward their home and community. “The only real difference between the person three streets over and them, is we're allowing them to get into their home without having to pay a down payment, and without having to pay interest payments,” said Doane. The executive director of Affordable Housing Nova Scotia says that while these 78 new homes are a start, there is still a huge need in the province. Jim Graham says recent data says more than 22,000 households are in need of affordable housing. “The Habitat model works very well for the people who are engaged, want to participate in that way, it's a great model, but it's not a model that will produce large scale results,” Graham said. Doane hopes to build at a rate of 10 town houses a year. He's optimistic the project will be complete by 2024. The development will be 78 units and will include 38 town houses and a 40-unit building. “The only real difference between the person three streets over and them, is we're allowing them to get into their home without having to pay a down payment, and without having to pay interest payments,” said Stephen Doane, the CEO of Habitat For Humanity Nova Scotia.